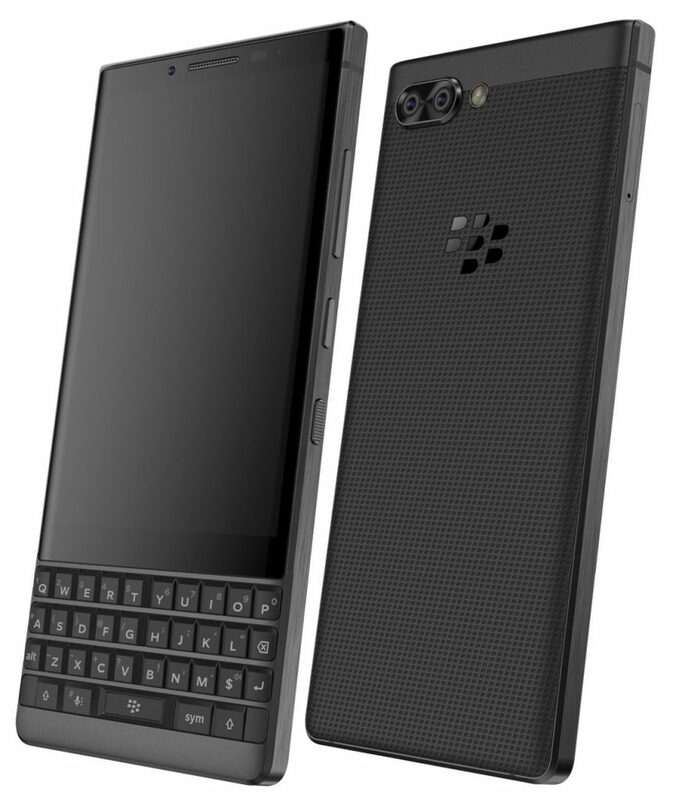 Last year, Canadian smartphones manufacturer Blackberry launched the new QWERTY keyboard Android powered smartphone Blackberry KeyOne that was liked by many all over the world. The company is now gearing up to launch the successor to the Blackberry Keyone code named Blackberry "Athena" whose leaked renders have confirmed most of the details about its some off the specifications and design. According to the leaked renders, the new Blackberry Athena will feature a dual rear camera and will have a QWERTY keyboard just like its predecessor and will have thin bezels comparing with its predecessor. The launch date of the device is not yet known but we may expect it to launch soon. The Blackberry Athena is rumored feature a bigger display from its predecessor and will be powered by the Qualcomm Snapdragon 660 Mobile Platform. It is expected to come with 8GB of RAM along with 128GB of inbuilt storage and another variant will have 6GB of RAM with 64GB of inbuilt storage capacity. 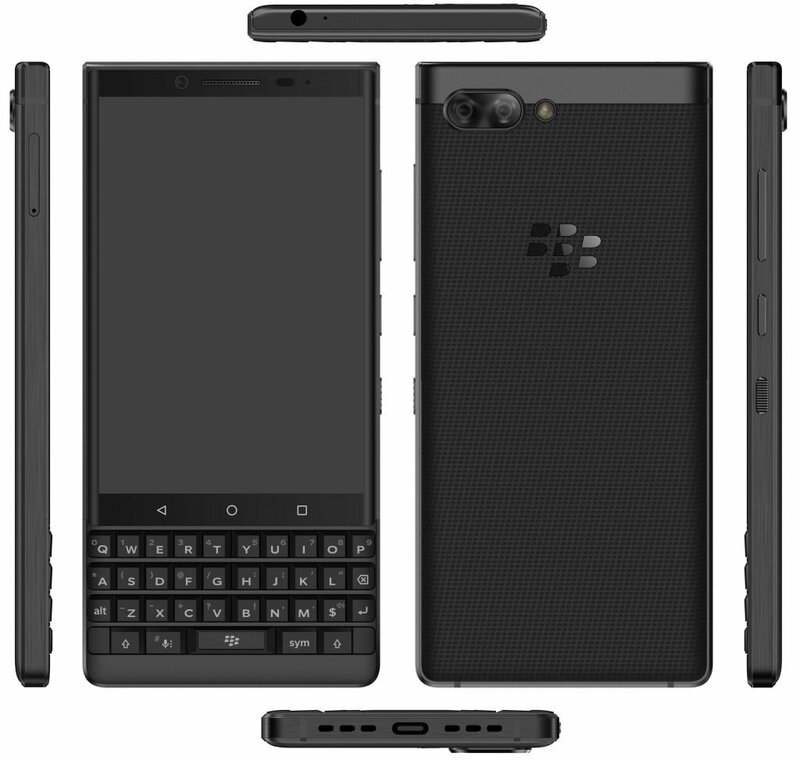 It will have a horizontally placed dual rear camera and will have a QWERTY keypad that will be touch-sensitive just like the Keyone's keypad. The Dual rear camera will carry a LED flash and it will also have a fingerprint scanner on the space button on front. The leaked images confirms a 3.5mm audio jack on top and speaker grills at bottom with USB Type-C port. None of the above details about the upcoming device are officially confirmed by the company so take these details with a pinch of salt for now. To recall, the Blackberry Keyone was launched back at 2017 MWC event with a 4.5-inch display with 1620 x 1080 pixels resolution, 433 PPI and a scratch-resistant glass protection. It is powered by a 2GHz octa-core Snapdragon 625 14nm processor with 650MHz Adreno 506 GPU along with 3GB of RAM and 32GB internal storage capacity with MicroSD card expandable storage up to 2TB. It comes with a 4-row physical QWERTY backlit keyboard with capacitive touch and runs on the Android 7.1 (Nougat). It features a 12-megapixel rear camera with dual-tone LED Flash, Sony IMX378 sensor, 1.55μm pixel size, 1/2.3″ sensor size, f/2.0 aperture, PDAF, 4K video recording along with an 8-megapixel front-facing camera with 1.12µm pixel size and f/2.2 aperture. A 3505mAh battery with Qualcomm Quick Charge 3.0 backs up the device and can deliver up to 50% of charge in just 36 minutes. A fingerprint sensor is available on the space bar of the QWERTY keyboard and it comes with a 3.5mm audio jack and with FM Radio support. It measures 149.3 x 72.5 x 9.4mm and weights 180 grams. it comes with connectivity options like 4G LTE, Wi-Fi 802.11 ac (2.4 & 5 GHz), Bluetooth 4.2, GPS / GLONASS, NFC and USB 3.1 Type-C.